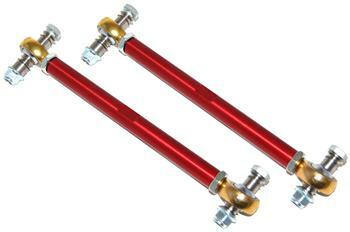 Torque Solution Front Swaybar Drop Links are designed to eliminate the failure prone factory endlinks and allow for stiffer swaybar adjustments. 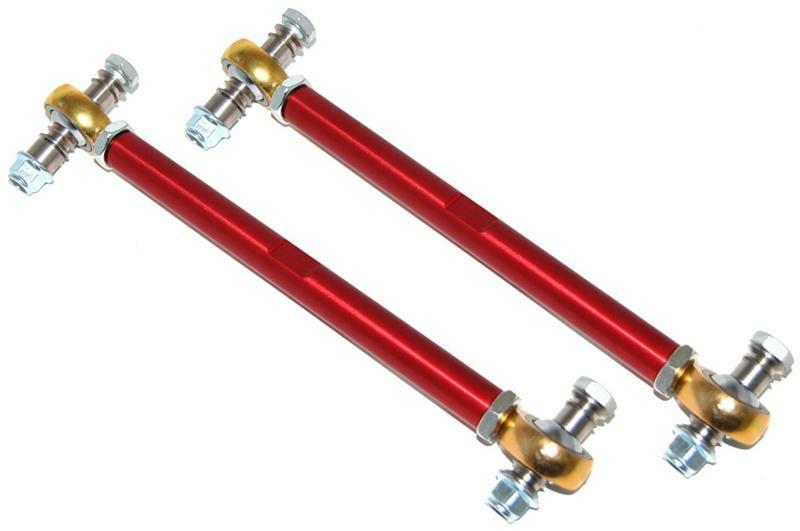 This gives you more control of your suspension adjustments to take advantage of your stock or aftermarket suspension. Made with high quality FK Bearing rod ends and lifetime warranty 6061 billet aluminum these will be the last end links you’ll ever have to buy. Fully adjustable with left and right hand thread rod ends and 304 stainless steel bushings. Say goodbye to the clicking and rattling noises commonly found in stock plastic end links.